AP/J. Scott ApplewhiteHouse Speaker John Boehner (R-Ohio). A triumphant Speaker John Boehner (R-Ohio) came out firing on Thursday, taking shot after shot at President Barack Obama just two days after Democrats were routed in the midterm elections. “If the president continues to act on his own, he is going to poison the well. When you play with matches, you take the risk of burning yourself. And he’s going to burn himself if he continues to go down the path,” Boehner said. Boehner’s warning came in reaction to Obama’s vow to enact immigration reform measures through executive action by the end of the year. Obama repeated the executive action promise at his own press conference on Wednesday. “I’ve made it clear to the president that if he acts unilaterally — on his own, outside of his authority — he will poison the well, and there will be no chance for immigration reform moving in this Congress. It’s as simple as that,” Boehner said. In another sign of expected tension between Congress and the White House, Boehner also made it clear he plans to move to repeal Obama’s signature healthcare reform law. Boehner went on to cast doubt on Obama’s claim to have heard the voters’ message on Election Day. 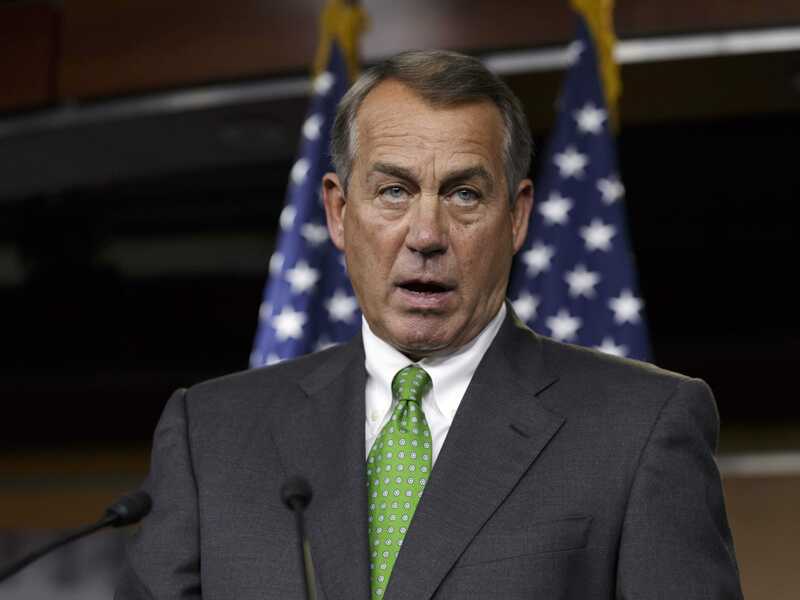 “The president said, ‘I listened to what happened Tuesday night.’ Really?” Boehner asked.